Elizabeth joined Watsi on June 24th, 2013. Eleven months ago, Elizabeth became the 3949th member to automatically support a new Watsi patient every month. Since then, 1,138 more people have become monthly donors! 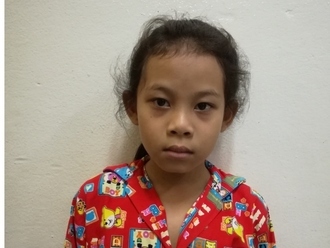 Elizabeth's most recent donation supported Rida, a girl from Cambodia, to fund spinal surgery. Elizabeth has funded healthcare for 11 patients in 6 countries. Phan is a baby from Cambodia. He has two older sisters. He likes playing with his toys and with his sisters. Phan has strabismus in both eyes. Strabismus is a misalignment of the eye caused by injury or dysfunction in the associated nerves and muscles. His eyes are not straight, and he often has red eyes. 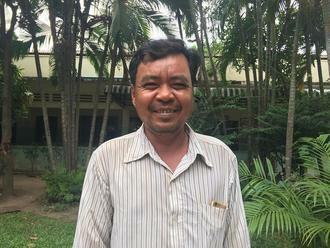 Phan's familed traveled to our medical partner's care center to receive treatment. On May 3, surgeons at our medical partner, Children's Surgical Centre (CSC), will perform a corrective procedure to align his eyes. 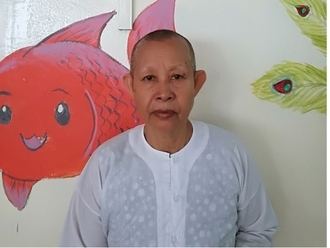 Now, Phan's family needs help to raise $292 to fund this procedure. His mother says, "I worry about my son’s vision. I want his eyes to be straight and look normal." 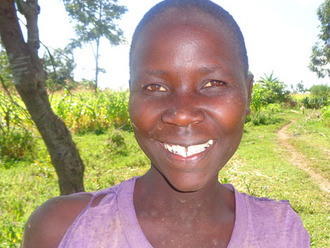 Linet, who lives with her husband and two children, is expecting her third baby! Unfortunately, in Linet's community, healthcare for expecting mothers is a luxury that most cannot afford. Across the world, 99% of all maternal deaths occur in developing countries - largely because women don't have access to skilled birth attendants. Linet and her husband both work to provide for their family; she as a gold miner and he as a farmer. Linet loves her family and prioritizes her children’s futures. She uses much of the money that she makes mining gold to pay for them to attend school. She hopes that in the future she can invest in a more lucrative business, and provide even more for them. Linet hopes for a safe delivery and a healthy baby. We can help make this possible. For $215, Linet can deliver her baby in a health facility where both she and the baby will receive healthcare services by professionals and her baby will receive immunizations to prevent future illness.